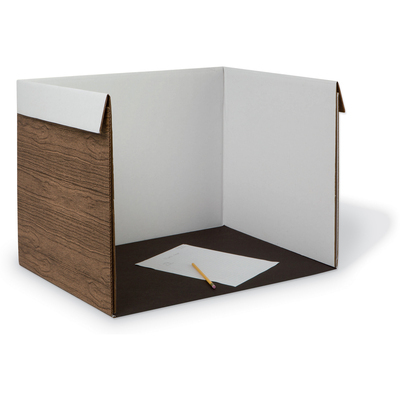 Lightweight, portable, desktop carrel is ideal for testing or individual learning activities. Base provides hard writing surface. Lightweight, portable, desktop carrel is ideal for testing or individual learning activities. Sturdy corrugated construction with woodgrain print outside. Base provides hard writing surface. 25w x 18d x 17h.